The bill was adopted without a vote against it. In the US state of Illinois from August 4, 2018 will celebrate a new official holiday – ‘Barack Obama Day’ The corresponding order was signed by the Governor Bruce Rauner, reports The Hill. 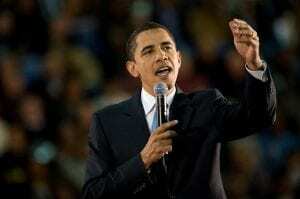 ‘Barack Obama Day’ will be celebrated annually on the birthday of the 44th President of the United States of America. In this case, according to the governor of the state, it is not that the August 4 will be officially declared a day off. This day should be simply devoted to recognizing the merits of the former president and celebrations in his honor, Rauner said. Note that from 1997 to 2004 Barack Obama served as a senator from the state of Illinois. Recall that on July 27 in the Senate failed to vote on the abolition of Obamacare – senators did not support such a decision in the absence of an alternative to the health program. The bill put to the vote, in fact, did not differ from what was approved by the Congress two years ago and vetoed by Barack Obama.